Good morning! I hope everyone's week is going well! Only a few more hours until a long holiday weekend is upon us...Yay!! I have several new recipes that I have been wanting to try, and this summer has finally given me a chance to do that. Just reading the ingredients in this one, you know it is going to be amazingly good! The cookie crust is one of my all-time favorite crust! Crush the entire package of Golden Oreos (both cookie and filling). A food processor would work best, but I used a gallon Ziplock bag and crushed mine with a rolling pin and meat tenderizer, until I had fine crumbs. Transfer to large bowl and mix with 6 tablespoons of melted butter. Then press cookie mixture into a 9 x 13 pan and refrigerate while you prepare the remaining layers. Next beat together 1 cup of powdered sugar, cream cheese and 1 cup of cool whip. Spread over cookie crust layer. For the next layer, mix together all 4 boxes of pudding mix (just the powder), 3 cups of milk, and another 1 cup of cool whip. Spread over cream cheese layer. *The texture of this layer is a bit lumpy, but not to worry, it will taste amazing! Refrigerate until ready to serve and then top with cool whip and sliced strawberries. I refrigerated overnight and served the next day. Quick, easy, no-bake recipe with yummy layers of goodness...it's a perfect summertime recipe for your next occasion! 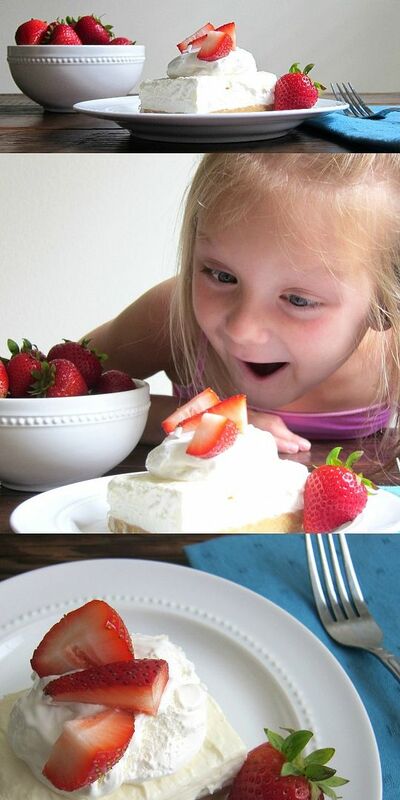 You had me at "no bake" :) Looks delish! Oh gosh! That recipe just blew me away. 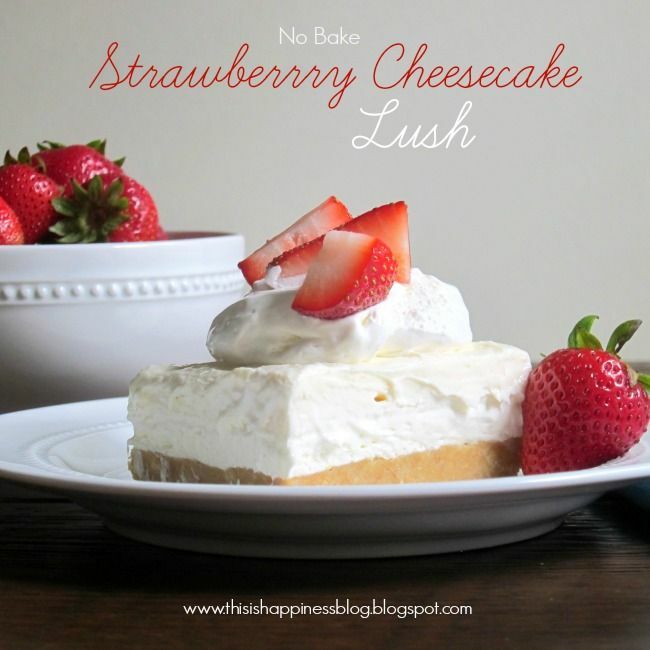 I love cheesecakes and I'm sure I'll be head over heels in love with that one too. The pictures you took are amazing. They are really making my mouth water. I'm going to try that recipe ASAP. Thank you so much for sharing! All the best!